Recording their newest album in Austin, Texas gave the perfect feel for this album. Blaine Harrison, the lead vocalist of Mystery Jets mentioned how Radlands is a concept album. If it is listened to in track sequence, a story of a young man unfolds. 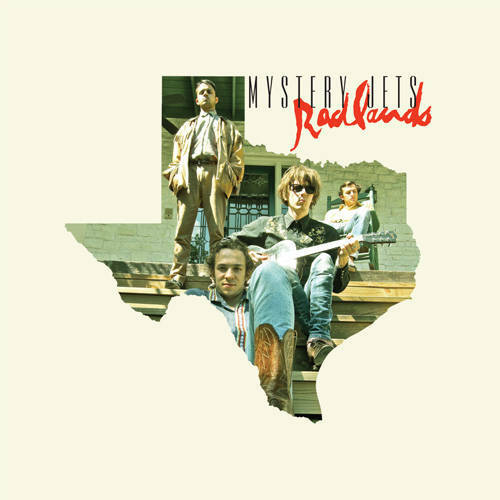 Mystery Jets have created a three volume comic book which takes listeners on a journey with this young man, and goes in depth about his life and travels throughout Texas. It is about a young man who begins to question himself, believing that he might not be good enough in life. A perfect example of this is the song You Had Me at Hello. The young man finds himself drawn out to the desert questioning his self-worth, and is led to a whorehouse where he might be able to wash his sorrows away. Although the lyrics are deep, the music is moving and can evoke many different moods, including curiosity on my end. There is a line in You Had Me at Hello where the lyrics are “You had me on the kitchen floor, you had me on the bed.” After listening to the song many times and enjoying it so much, these lyrics passed me by at first, so when my ears first caught them, I knew I had a question. So when I went to see Mystery Jets @ Sound Academy with my family we had the amazing opportunity to meet and speak with the inspirations of mine, Mystery Jets. Asking them what the deal was with that line Harrison, told us “Well, it’s an upscale whore house… I guess!” It only made the song even better because of the funny comment. This is where the young man is still questioning whether or not he is good enough; if someone could have used his life in a more honorable way, and if he could have been replaced with “someone purer”. Although the lyrics are sung by Harrison in a way which might seem melancholy, the band somehow is able to take elements of their recording in Austin to bring in gorgeous-sounding elements of sorrow, yet happiness. Even though many songs off the album are deep stories of this young man, there are tracks which are more upbeat, funky and can make listeners think of some great, old times they’ve had. A song which does this is Greatest Hits. Lyrics of young love and music memories are told throughout the song, for the lost young man has had happiness in his life and treasures it. The band mentioned a tour in the fall of 2012 as headliners, so it will be great to listen to more of the album live. Between the album’s western vibe with William Rees’ great southernized guitar riffs, ringing pedal steel, and the harmonized vocals which are sung to perfection on the album and live, Mystery Jets take listeners on an amazing, heartfelt and earnest journey of a falling Lonestar in each track off Radlands.